Over Easter I visited Fowl Green Farm in Commondale to find out more about the incredible things that go on there. The working farm sits in beautiful scenery on the Eskdale railway with a station located on their land. It has several holiday cottages that are fully inclusive and provides a base for an inspiring not for profit organisation – Beyond Boundaries. 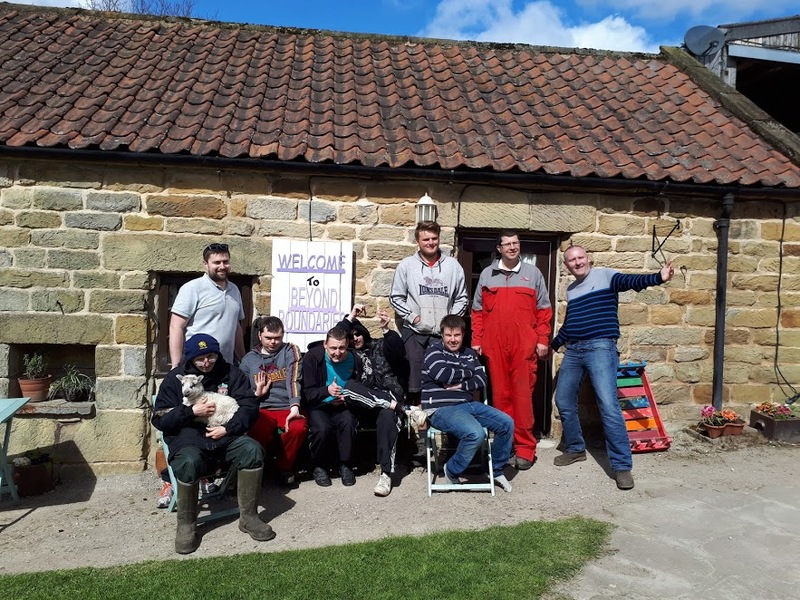 The organisation offers opportunities for people with a range of disabilities to take up roles on the farm including feeding the animals, tending to the allotments and landscaping the woods. As well as the regular activity on the farm, the organisation also offers opportunities for schools, groups and companies to visit the site and get involved with a number of their activities. It provides the visitors with the chance to experience life on the farm as well as engaging with people with a disability. In the future we’re hoping to be able to offer sitting volleyball opportunities to visiting groups but whilst there I made myself useful, feeding the sheep and stripping bracken from the woods! Not only was getting involved good fun, it was an opportunity to chat to some of the service users and find out why they enjoy visiting the farm so much.